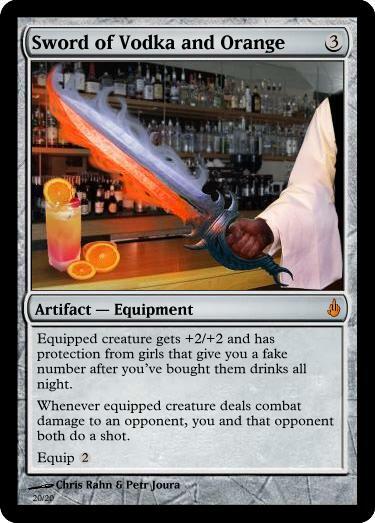 This entry was posted in Parody MtG Cards and tagged Magic, Parody, Sword of Feast and Famine. Bookmark the permalink. So Akroma and Jhoira can’t block, right?